Guest Editorial: A Theory of Death • Roger B. Cook, M.A. The Physiology of the Tunnel • Susan J. Blackmore, Ph.D., & Tom S. Troscianko, Ph.D.
Clinical Approaches to the Out-of-Body Experience • Stuart W. Twemlow, M.D. Near-Death Experiences: A Neurophysiological Explanatory Model • Melvin L. Morse, M.D., David Venecia, Jr., M.D., & Jerrold Milstein, M.D. Book Review: After the Beyond: Human Transformation and the Near-Death Experience, by Charles P. Flynn • Reviewed by John M. McDonagh, Ph.D.
Book Review: Death, Intermediate State, and Rebirth in Tibetan Buddhism, by Lati Rinpoche, & Jeffrey Hopkins • Reviewed by Carl B. Becker, Ph.D.
Letter to the Editor: Hypnotic induction of experiences • Raymond C. Babb, Ed.D. Editorial: Can Science Explain the Near-Death Experience? • Bruce Greyson, M.D. Psychic Phenomena Following Near-Death Experiences: An Australian Study • Cherie Sutherland, B.A. Assessing Psychologists' Knowledge and Attitudes Toward Near-Death Phenomena • Barbara A. Walker, Ph.D., & Robert D. Russell, Ed.D. Book Review: The Return from Silence: A Study of Near-Death Experiences, by D. Scott Rogo • Reviewed by Kenneth Ring, Ph.D.
Letter to the Editor: The near-death experience of a culture • William J. Serdahely, Ph.D. Guest Editorial: The Near-Death Experience: An Ancient Truth, a Modern Mystery • Elizabeth W. Fenske, Ph.D.
Near-Death Encounters with and without Near-Death Experiences: Comparative NDE Scale Profiles • Bruce Greyson, M.D. 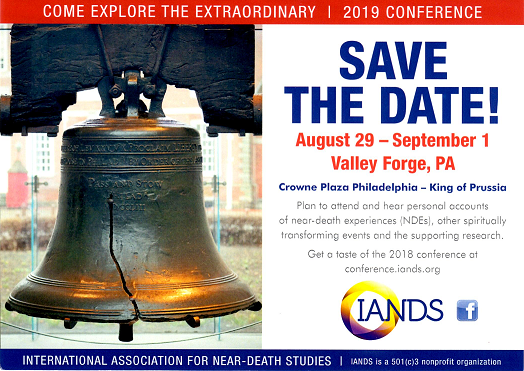 Community Attitudes Toward Near-Death Experiences: A Chinese Study • Allan Kellehear, Ph.D., Patrick Heaven, Ph.D., & Jia Gao, B.A. Guest Editorial: The Luminous Experience and the Scientific Method • Oliver Nichelson, M.Div. Response to "The Luminous Experience and the Scientific Method" by Oliver Nichelson • Carol Zaleski, Ph.D. The Omega Project: An Empirical Study of the NDE-Prone Personality • Kenneth Ring, Ph.D., & Christopher J. Rosing, B.Sc. Near-Death Experience by Proxy: A Case Study • Cherie Sutherland, B.A. Book Review: Full Circle: The Near-Death Experience and Beyond, by Barbara Harris, & Lionel Bascom • Reviewed by Judith S. Miller, Ph.D.
Letter to the Editor: More on prophetic visions and the Inner Self Helper • Susan C. Litton, Ph.D.